Here is our official Press Release for the Kit. 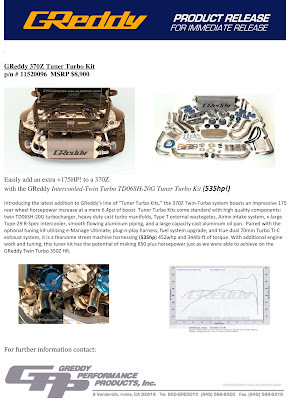 Introducing the latest addition to GReddy’s line of “Tuner Turbo Kits,” the 370Z Twin-Turbo system boasts an impressive 175 horsepower increase at a mere 6.4psi of boost (That's a 535hp 370Z!). 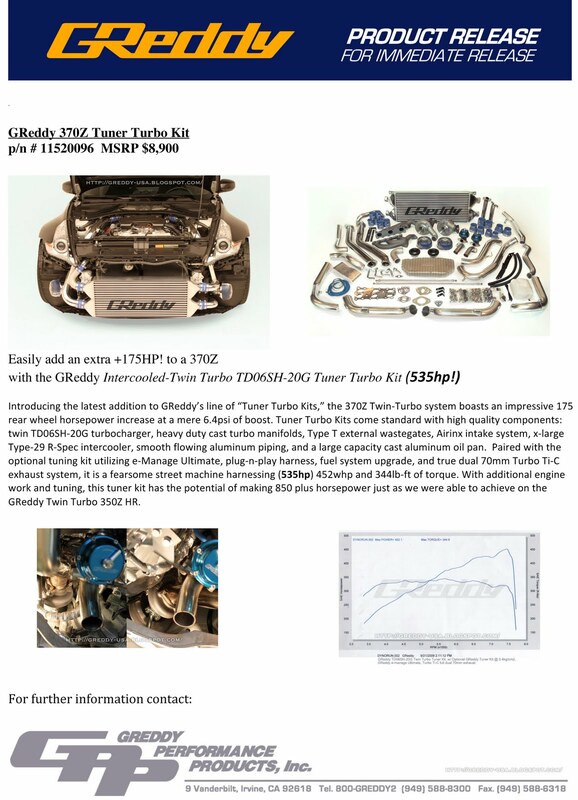 Tuner Turbo Kits come standard with high quality components: twin TD06SH-20G turbocharger, heavy duty cast turbo manifolds, Type-T external wastegates, Airinx intake system, x-large Type-29 R-Spec intercooler, smooth flowing aluminum piping, and a large capacity cast aluminum oil pan. Paired with the optional tuning kit utilizing e-Manage Ultimate, plug-n-play harness, fuel system upgrade, and true dual 70mm Turbo Ti-C exhaust system, it is a fearsome street machine harnessing 452 wheel horsepower and 344lb-ft of torque. With additional engine work and tuning, this tuner kit has the potential of making 850 plus horsepower (over 500hp increase!) 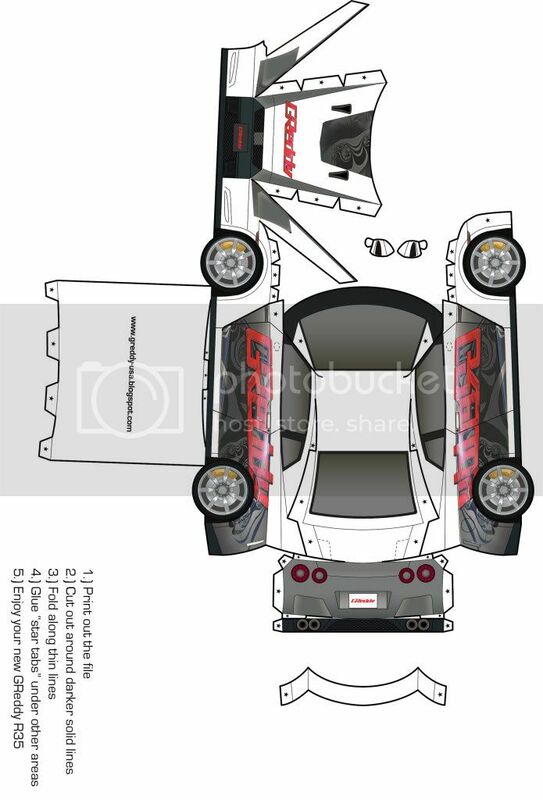 just as we were able to achieve on the GReddy Twin Turbo 350Z HR. Remember the Teaser Video we had back in early February, well now the Kits are HERE!